Mark your calendars for January 10, 11, 12, 15, 16, 17, and 18! While it has only been about two years since our last pictorial directory, many new faces have joined us and many faithful saints have departed—both members and staff! 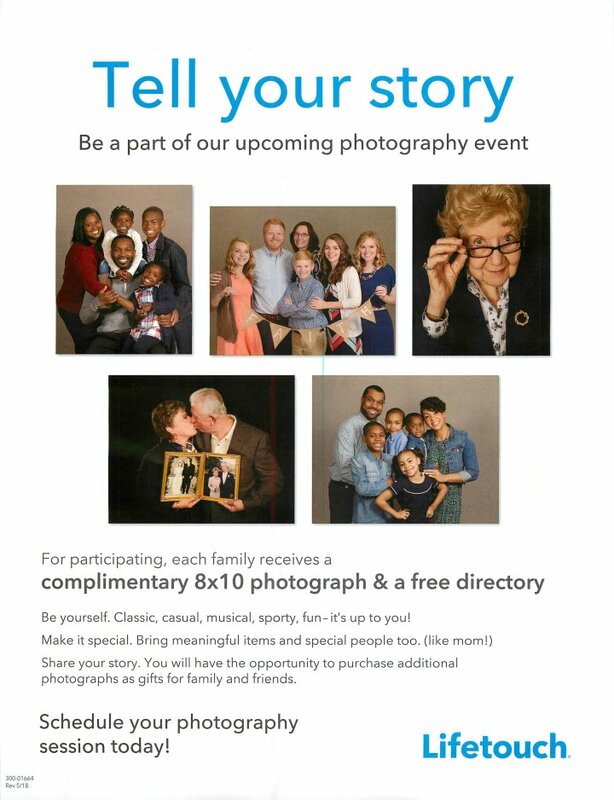 We will be partnering with Lifetouch to take photographs and produce the printed pictorial directory. Ability to choose from different photo packages. One printed directory per household with Ministry activity pages. You will receive an automated reminder call to register from Mountain View. You will receive a reminder call a day or two before your appointment from a Mountain View volunteer. You will be greeted by a Mountain View volunteer to check-in, verify the contact information that we have on file at the church office, and verify which information is ok to publish in the printed pictorial directory. You will have six days to select photos from for your photo shoot. We will only have one Saturday date available. You will at least need to choose the directory photo the day of your photo shoot, but you do not have to buy any photos at this time. You can select additional photos to purchase online after your photo shoot day at normal prices. If you do choose to purchase photos the day of your photo shoot, you will receive a discount and a $50 Shutterfly gift card to use towards photos. The printed pictorial directory will be available by Easter!